Although Disney originally wanted some distance from it, I still consider Tim Burton’s The Nightmare Before Christmas a staple Disney film. With the amazing animation, addicting soundtrack, and quirky character lineup, Nightmare Before Christmas is one of my favorite movies of all. Although I do have a hard time figuring out whether I should watch it around the Halloween or Christmas season… So I just don’t worry about it and watch it several times a year. One of my favorite scenes from the film (which Youtube sadly has no clip of) is when Sally makes some frog’s breath soup laced with deadly nightshade for her “creator”, Dr. Finkelstein. The bright green soup causes him to pass out, and allows for Sally to sneak out and go looking for her love, Jack Skellington. Image property of Disney Enterprises, Inc.
My imitation of the soup was a base of kale and russet potatoes. I sauteed a few garlic cloves and an onion, then added in veggie broth and the vegetables. I seasoned it with basil, rosemary, and thyme. 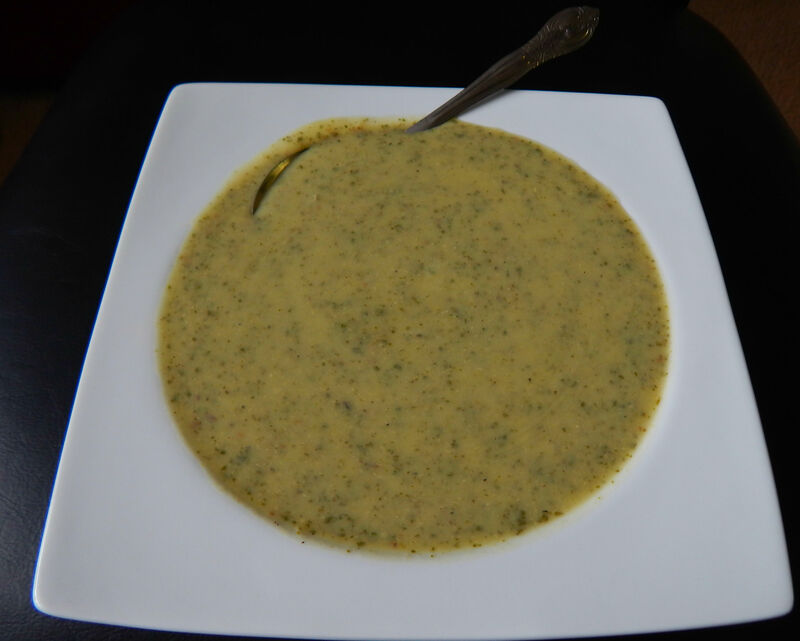 After everything was thoroughly cooked, I added a splash of coconut milk and pureed it down to a smooth texture. It was a bit thinner than most soups I would normally make, but it was great paired with some crusty bread.